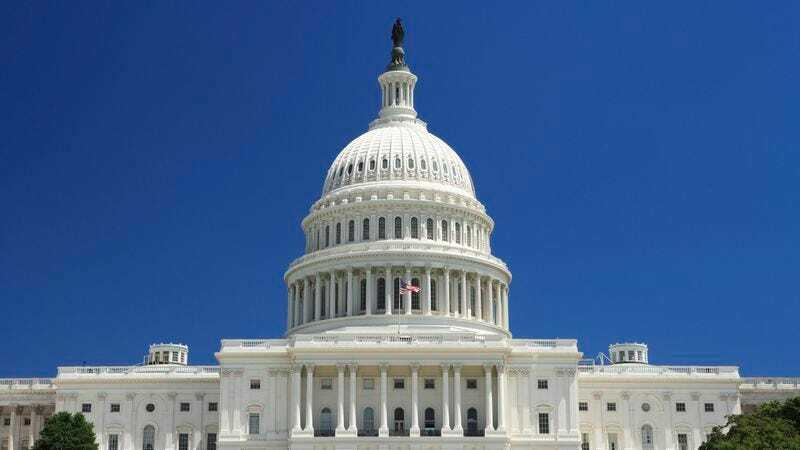 WASHINGTON—According to a new report from the Pew Research Center, the number of reforms to U.S. law that could conceivably pass both houses of Congress and be signed into law is now down to three minor alterations to the nation’s traffic code. “Reinstating a federal speed limit, provided it is not overly restrictive, could plausibly reach the required number of aye votes in the House and, with some arm-twisting in the Senate, could feasibly make it to President Obama’s desk,” stated the report, which considered thousands of potential reforms to every federal law, statute, and regulation and rigorously weighed their ability to pass through the 113th Congress. “And it’s within the realm of possibility that Obama could lead a successful crusade to make right turn on red a nationwide policy, and maybe even strengthen turn signal requirements, barring a filibuster. However, any reform concerning U-turns is completely out of the question. It’s just too sensitive, politically speaking.” At press time, legal scholars at the American Bar Association released a white paper contending that two of the three politically achievable reforms would be struck down as unconstitutional by the Supreme Court.